Disney/ABC Television Group will launch “Disney Junior”, a new multiplatform brand and 24-hour basic cable/satellite channel and online site devoted to preschool-age children. 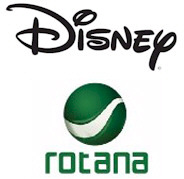 Scheduled to debut in the U.S. in 2012, Disney Junior will invite mom and dad to join their child in the Disney experience of magical, musical and heartfelt stories and characters, both classic and new, while incorporating specific learning and development themes designed for kids age 2-7. The Los Angeles Biz Journal is reporting that The Walt Disney Co. has officially unveiled its long-awaited KeyChest initiative that should it take off will impact digital movie downloads. 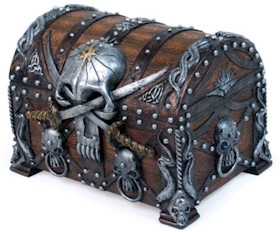 The initiative would allow a user to purchase a movie or television show that would be stored on a remote server and be standardized in a way that would allow the media to be viewable on multiple platforms including computers, mobile phones and television. Today the first official trailer for the Tim Burton film “Alice in Wonderland” has been released. You can see it below via YouTube, but for the maximum experience, try watching it in HD on Apple.com. The film hits theaters on March 5, 2010, and the studio has carefully revealed information relating to the film using social media sites like Facebook and Flickr. Blockbuster movies such as “Wall-E” and “Pirates of the Caribbean” as well as television series such as “Ugly Betty” will soon be screened free-to-air in the Middle East, as a result of a new deal that was recently announced in Dubai. This new partnership will greatly expand coverage by making the content available to the Middle East’s booming satellite free-to-air television market. The first movie trailer for Disney’s “The Sorcerer’s Apprentice” is now available via You Tube. and is a Jerry Bruckheimer production based on the Fantasia sequence. A sorcerer leaves his workshop in the hands of his apprentice who gets into trouble when the broomstick he’s tasked to do his chores for him somehow develops a mind of its own. 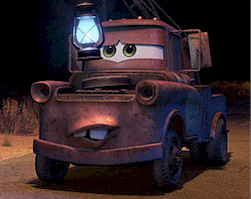 If you are like me and love the many short films Pixar has made in conjunction with their full-length animated features, then you’ll want to mark your calendars for Wednesday December 2 at 7pm when ABC Family will air “Walt Disney Pictures Presents Pixar Short Films.” The airing will lead up to ABC Family’s annual 25 Days of Christmas event . Disney has released the official trailer for “A Christmas Carol” which has been done in “performance capture” technique (same as Polar Express). The film will re-tell the Charles Dicken’s classic like you’ve never seen it before with a digital Jim Carrey – as well as all others actors – all moving in digital decors of a Victorian London and in 3-D to boot. The official movie trailer of Tim Burton’s theatrical rendition of “Alice in Wonderland,” which is coming to theaters March 5, 2010, has been released. The Disney fantasy film is an adaptation of the Lewis Carroll novel and features a star-studded cast with Johnny Depp as the Mad Hatter, Helena Bonham Carter playing the Red Queen, and Anne Hathaway as the White Queen. In honor of the irascible, cranky, mischievous, outrageous and very humorous Donald Duck’s birthday which just happens to fall on June 9, Disney’s D23 is commissioning an official portrait from those who know Donald best– his fans. For the first time ever, Disney is turning to fans to create an official portrait of one of its biggest stars. Disney’s D23: The Official Community for Disney Fans today announced its Summer 2009 Special Events Calendar. From very special screenings and stepping behind-the-scenes with Mary Poppins to visiting the legendary Walt Disney Studios and Archives to being among the first to experience the new Walt Disney Family Museum, D23’s inaugural slate of Members-only events promises outstanding, unforgettable opportunities that are exclusive to the fan community’s Charter Membership. The movie trailer for Disney’s “The Princess and the Frog” is now available. The animated family feature film loosely based upon the book The Frog Princess by E.D. Baker and presented by Walt Disney Animation Studios will be the forty-ninth animated feature in the Disney animated features canon, and the first traditional animation feature since 2004’s Home on the Range. In honor of Disneynature’s first film, “EARTH,” the studio has pledged to plant a tree for every ticket sold for the film’s opening week. Numbers are on the rise. 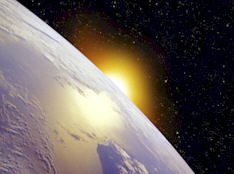 In fact, 500,000 people have already purchased advance tickets to the film, which opens today (April 22) on Earth Day. I have always loved watching films about nature, a passion that dates back to the classroom as a small child watching National Geographic films in place of regular school work. 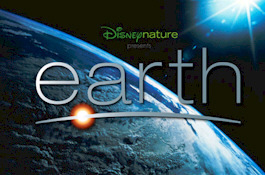 That is why I am especially excited for Disneynature’s “Earth” which is to be released in theaters on Earth Day. Disneynature has released a new featurette entitled “Heritage” that provides a glimpse into what moviegoers might expect once the film is released to theaters in April. Four new videos previews from Disney / Pixar’s “UP” are available for your viewing pleasure. 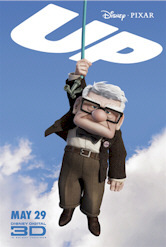 UP, Disney / Pixar’s first collaboration on a 3D film, is due to land in theaters on May 29th. The story is based on 78-year-old Carl Fredricksen tying thousands of balloon to his home in his quest to fulfill a lifelong dream to see the wilds of South America. Right after lifting off, he learns he isn’t alone on his journey.